The ASAM Treatment of Opioid Use Disorder Course: Includes Waiver Qualifying Requirements covers all medications and treatments for opioid use disorder, and provides the required education needed to obtain the waiver to prescribe buprenorphine. Welcome to The ASAM Treatment of Opioid Use Disorder Course online access. This course covers all medications and treatments for opioid use disorder, and provides the required education needed to obtain the waiver to prescribe buprenorphine. ASAM is an approved provider by CSAT/SAMHSA of DATA 2000 training. This is an 8-hour blended course combining 4 hours of live learning followed by 4 hours of online learning. The online portion of the course builds off the content delivered in the live portion. You must complete both portions to receive credit for the course. Getting started: To begin the online portion of the course, please log-in to your right and locate the box that says "View Course." If you do not know your password, or you have forgotten it, select "Forgot Password" and you will be emailed a link to reset your password. Detailed instructions for completing the online portion of the course can be found under the tab titled Course Instructions. If you have any questions, please contact education@ASAM.org. The American Society of Addiction Medicine (ASAM) is accredited by the Accreditation Council for Continuing Medical Education (ACCME) to provide continuing medical education for physicians. ASAM has been awarded the highest level of Accreditation with Commendation by the ACCME as a provider of continuing medical education. The American Society of Addiction Medicine designates this live activity for a maximum of 4 AMA PRA Category 1 Credits™. Physicians should claim only the credit commensurate with the extent of their participation in the activity. This program has been reviewed and is approved for a maximum of 8.00 AAPA Category 1 CME credits by the PA Review Panel. Approval is valid for one year from the issue date of 01/01/2018. Participants may submit the post-test at any time during that period. This program was planned in accordance with AAPA's CME Standards for Enduring Material Programs and for Commercial Support of Enduring Material Programs. This course has been designated as an approved CME Activity by the American Board of Addiction Medicine (ABAM). Physicians enrolled in the ABAM Maintenance of Certification (MOC) Program can apply a maximum of 8 AMA PRA Category 1 Credit(s)™ to the CME requirement for Part II: Lifelong Learning and Self-Assessment. Locate the box on the right that says “View Course" and click “View Course"
A new window will open with the course. Be sure your pop-up blocker is turned off. Physicians, Nurse Practitioners, and Physician Assistants who wish to obtain a waiver to prescribe buprenorphine in office based treatment of opioid use disorders. Clinicians and health care team members working with physicians who prescribe buprenorphine in office based treatment of opioid use disorders. The ASAM Treatment of Opioid Use Disorder Course has been made available in part by an unrestricted educational grant from Indivior Inc. Fill out the Waiver Notification Form on SAMHSA’s website. Submit copies of your training certificate(s) to SAMHSA by email: infobuprenorphine@samhsa.hhs.gov or fax: 301.576.5237. SAMHSA reviews waiver applications within 45 business days of receipt. If approved, you will receive a letter via email that confirms your waiver and includes your prescribing identification number. Waiver applications are forwarded to the DEA. DEA regulations require your prescribing identification number to be included on all buprenorphine prescriptions for opioid dependency treatment, along with your regular DEA number. If you have not received confirmation of receipt of your application, or if it has been more than 45 business days since submitting it, contact CSAT by email: infobuprenorphine@samhsa.hhs.gov or call 866.287.2728. Please ensure that your state regulations allow you to prescribe buprenorphine and other medications to treat OUD before you apply for the waiver. Some states may have overriding state legislation that will prevent NPs and PAs from prescribing these medications even if Federal law allows it. If required by state law, supervision or working in collaboration with a qualifying physician to prescribe medications for the treatment of OUD may be required. The Drug Abuse Treatment Act of 2000 (DATA 2000) specifies training is necessary for physicians to obtain a waiver to engage in office&dash;based treatment of opioid use disorders using drugs approved by the FDA on Schedules III, IV, and V. This course addresses those requirements using a curriculum approved by CSAT/SAMHSA and ASAM, who is one of the national organizations named in the DATA 2000 legislation as eligible to prepare and administer these courses. On July 22, 2016, President Obama signed the Comprehensive Addiction and Recovery Act (CARA) into law. CARA authorizes qualified NPs and PAs to become waivered to prescribe buprenorphine in office-based settings for patients with Opioid Use Disorder (OUD) for a five-year period expiring in October 2021. HHS' announcement on November 16, 2016, enables NPs and PAs to immediately begin taking the 24 hours of required training. For the full HHS announcement, click here. Earn 8 AMA PRA Category 1 credits/8.00 AAPA Category 1 CME Credits while attending this innovative live workshop designed to support providers new to the field of addiction medicine, in settings such as primary care, emergency care, and psychiatry, who see patients at risk for or with addiction. Learn how to screen, diagnose, treat, and/or refer patients with addiction. The ASAM Fundamentals of Addiction Medicine is an innovative, case-based workshop designed for providers new to the field of addiction medicine in settings such as primary care, emergency care, and psychiatry, who see patients at risk for or with substance use disorders (SUDs). Participants will learn more about addiction medicine and how to screen, diagnose, treat, and/or refer patients with addiction*. Addiction as a disease continues to cost the global community a staggering amount both financially and in lives lost, but there are treatments available to help patients. Participants of this workshop will learn more about addiction medicine and how to screen, diagnose, treat, and/or refer patients with addiction – many of whom are already being seen for commonly occurring medical and psychiatric comorbidities. This live workshop is designed to be energetic and interactive. Attendees will work through session activities and cases presented by faculty with participants at their table. Sessions throughout the day will include approximately equal parts lecture, demonstration of skills and skill building. *Note: This program is the first activity in The ASAM Fundamentals of Addiction Medicine 40-Hour Program, an innovative educational program designed to translate the science of addiction medicine into transformative, positive outcomes for patients by empowering primary care and other providers to diagnose and treat patients at risk for or with addiction. Participants of this live workshop will receive $200 off the registration price for the full 40-Hour Program, featuring over 80 hours of CME content to choose from and a community of mentors and colleagues for additional support with complex patients! To learn more visit: www.asam.org/fundamentals. Identify one's own feelings and attitudes that promote or prevent therapeutic responses to patients with substance use disorders. Demonstrate a knowledge of the diseased brain processes when treating patients with addictive behaviors. Use validated patient screening tools to detect substance use and interpret a spectrum of results. Use motivational interviewing to enhance patients readiness to change risky behaviors. Offer the interventions that are appropriate to specific substances and severity of usage pattern. Respond to hazardous drinking with brief counseling strategies, appropriate to the patient's readiness to change. For patients suspected of having a SUD, conduct a biopsychosocial assessment to provide a diagnosis and match the patient to an appropriate level of care. Prescribe pharmacotherapy appropriately for alcohol, tobacco, and opioid use disorders. Offer patients and families information and referral to behavioral interventions including support groups and mutual aid groups that assist in the recovery process. Please email aunger@asam.org for all cancellations and refund requests. There will be no refunds on cancellations received after Monday, April 22, 2019. A commercial interest is any entity producing, marketing, re-selling or distributing health care goods or services consumed by, or used on, patients. The ACCME does not consider providers of clinical service directly to patients to be commercial interests. The American Society of Addiction Medicine designates this enduring material for a maximum of 8 AMA PRA Category 1 Credits™. Physicians should claim only the credit commensurate with the extent of their participation in the activity.  The American Society of Addiction Medicine (ASAM) is accredited by the Accreditation Council for Continuing Medical Education (ACCME) to provide continuing medical education for physicians. The American Society of Addiction Medicine has been awarded the highest level of Accreditation with Commendation by the Accreditation Council for Continuing Medical Education (ACCME) as a provider of continuing medical education (CME) for physicians. Accreditation in the ACCME System seeks to assure the medical community and the public that ASAM delivers education that is relevant to clinicians’ needs, evidence-based, evaluated for its effectiveness, and independent of commercial influence. This program has been reviewed and is approved for a maximum of 8.00 AAPA Category 1 CME credits by the AAPA Review Panel. PAs should claim only the credit commensurate with the extent of their participation in the activity. The ASAM Treatment of Opioid Use Disorder Course: Includes Waiver Qualifying Requirements covers treating opioid use disorder by using interactive, case-based learning to teach evidence-based practices. Welcome to the ASAM Treatment of Opioid Use Disorder Course. Please LOG IN to begin. If you do not know your password, or you have forgotten it, select "Forgot Password" and you will be emailed a link to reset your password. This 8-hour live course covers all treatments and medications for opioid use disorder, and is designed for licensed physician assistants, nurse practitioners, and physicians who plan to obtain a waiver to prescribe buprenorphine in office-based treatment of opioid use disorders. Once you have completed the live course, return here to claim CME for the course. If you have any questions, please contact education@ASAM.org. ASAM, AAPA and AANP have formed a collaborative to provide the 24-hour waiver training for physician assistants and nurse practitioners. The three organizations are authorized by statute to provide this training. Educational content has been identified and/or created to satisfy the 24-hour requirement as described in the Comprehensive Addiction and Recovery Act (CARA). Please ensure that your state regulations allow you to prescribe buprenorphine and other medications to treat opioid use disorder before you apply for the waiver. Some states may have overriding state legislation that will prevent NPs/PAs from prescribing these medications even if Federal law allows it. Click here to learn more about applying for the waiver. This training is divided into two parts of 8 hours and 16 hours. This 8 hour course will satisfy Part 1 and Part 2 can be completed online for free. Upon completion of the live course, you will be able to claim CME Credit through the ASAM e-Learning Center after completing the evaluation module. The American Society of Addiction Medicine designates this live activity for a maximum of 8 AMA PRA Category 1 Credits™. Physicians should claim only the credit commensurate with the extent of their participation in the activity. Licensed physicians, nurse practitioners, and physician assistants who wish to obtain a waiver to prescribe buprenorphine in office-based treatment of opioid use disorders. Fill out the survey by clicking the blue “Fill out Survey” button in the box titled “The ASAM Treatment of Opioid Use Disorder Course Live Portion Evaluation” at the end of the training. NPs and PAs who have completed the 24 hours of required training may seek to obtain a DATA 2000 waiver for up to 30 patients by completing the Waiver Notification Form. Effective February 27, 2017, SAMHSA will only accept electronic submissions of the NOI. NPs and PAs may send copies of their training certificates to infobuprenorphine@samhsa.hhs.gov or fax them to 301.576.5237. These waiver applications are forwarded to the Drug Enforcement Administration (DEA), which will assign the NP or PA a special identification number. DEA regulations require this number to be included on all buprenorphine prescriptions for opioid dependency treatment, along with the NP’s or PA’s regular DEA registration number. SAMHSA shall review waiver applications within 45 days of receipt. If approved, NPs and PAs will receive a letter via email that confirms their waiver and includes their prescribing identification number. Please ensure that your state regulations allow you to prescribe buprenorphine and other medications to treat OUD before you apply for the waiver. Some states may have overriding state legislation that will prevent NPs from prescribing these medications even if Federal law allows it. Click here for more information on applying for a waiver to prescribe buprenorphine. The ASAM Treatment of Opioid Use Disorder Course has been made available in part by an unrestricted educational grant from Indivior, Inc. This is an 8-hour blended course combining 4 hours of online learning followed by 4 hours of live learning. The live portion of the course builds off content delivered in the online portion. Course faculty are expecting learners to complete the online portion before attending the live portion. You must complete both portions to receive credit for the course. Getting started: To begin the online portion of the course, please log-in to your right and locate the box that says "View Course." If you do not know your password, or you have forgotten it, select "Forgot Password" and you will be emailed a link to reset your password. Detailed instructions for completing the online portion of the course can be found under the tab titled "Course Instructions." Physicians, Nurse Practitioners, Clinical Nurse Specialists, and Physician Assistants who wish to obtain a waiver to prescribe buprenorphine in office-based treatment of opioid use disorder. Clinicians and healthcare team members working with physicians who prescribe buprenorphine in office-based treatment of opioid use disorder. Earn 1 AMA PRA Category 1 Credit(s)™ while learning more the role hospitals play in the overdose epidemic from this journal article from The Journal of Addiction Medicine 2019. 1.) Identify the commonalities and differences in organizational structure and design of U.S addiction medicine consult (AMC) services. 2.) Describe the primary responsibilities of AMC services. 3.) Recognize potential policy levers for increasing or promoting hospital-based services for patients with OUD and other SUDs. Earn 1 AMA PRA Category 1 Credit(s)™ while learning more about buprenorphine pharmacology from this journal article from The Journal of Addiction Medicine 2019. Join Dr. David Mee-Lee, leading expert in substance use disorder treatment and Chief Editor of The ASAM Criteria®, for an informative webinar that will aid drug court team members in tracking treatment progress and ensuring that participants adhere to medication in addiction treatment. This webinar, which is jointly sponsored by the National Association of Drug Court Professionals and the American Society of Addiction Medicine, is designed especially for judges, coordinators, prosecutors, defense attorneys, supervision officers, case managers, and other team members who refer, monitor, or otherwise support behavioral health treatment in drug courts. 1. Review the definition of addiction and the use of medication in addiction treatment. 3. Identify procedures to ensure treatment adherence, including communication among the interdisciplinary drug court team, quality and content of treatment provider reports, and the use of random drug testing. David Mee-Lee, M.D. is a board-certified psychiatrist, and is certified by the American Board of Addiction Medicine (ABAM). Based in Davis, California, he trains and consults both nationally and internationally. Dr. Mee-Lee is Chief Editor of the American Society of Addiction Medicine's (ASAM) Criteria for the Treatment of Addictive, Substance-Related, and Co-Occurring Conditions and is President of DML Training and Consulting. He is co-founder of the Institute for Wellness Education. Dr. Mee-Lee has forty years of experience in person centered treatment and program development for people with co-occurring mental health and substance use conditions. Earn 1 AMA PRA Category 1 Credit(s)™ while learning more about topiramate pharmacotherapy from this journal article from The Journal of Addiction Medicine 2019. Earn 1 AMA PRA Category 1 Credit(s)™ while learning more about escalating opioid dose and it's association with mortality from this journal article from The Journal of Addiction Medicine 2019. Earn 1 AMA PRA Category 1 Credit(s)™ while learning more about methadone maintenance treatment during incarceration from this journal article from The Journal of Addiction Medicine 2018. To identify the risks associated with forced withdrawal from methadone for inmates with opioid use disorder and barriers to continuing methadone maintenance treatment during incarceration in the U.S.